The term “going the distance,” usually associated with making progress, takes on a different meaning after New Hampshire officials moved to block a plan that would have allowed transmission lines to traverse the Granite State and bring more than 1,000 megawatts of renewable energy from Canada to the Massachusetts energy grid. The controversial Northern Pass project, proposed by Eversource, was approved as part of the 2016 omnibus energy legislation that called for Massachusetts to solicit long-term contracts to procure 1,600 megawatts of offshore wind power and 1,200 megawatts of hydropower or other renewable resources, such as land-based wind or solar power. 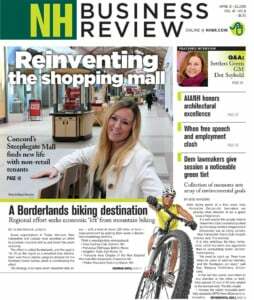 While the implications of massive towers and wires strewn across the Granite State’s landscape appeared to be front and center in the minds of NH Site Evaluation Committee members, the stymied plan means that the current lethargic and carbon-dependent energy grid will remain unchanged — or will it? The decision has temporarily hindered Massachusetts’ ambitious goal to significantly lower carbon emissions. However, it may have also create an opportunity for policymakers to reset and reconsider, like flipping a switch on a circuit breaker or breaking a fever. Connecticut-based Avangrid has already issued a statement saying its $950 million power line project through Maine is on track to start construction by mid-2019. Another proposal by TDI New England would a bring electricity to Massachusetts from Quebec via a power line that would run through Vermont, and a third project, the Granite State Power Link (GSPL), would use existing rights of way to move 1,200 megawatts of Canadian wind power to Massachusetts markets. At its core, the success of recent energy plan opposition movements is rooted in a simple acronym: NIMBY (Not in My Backyard). The sentiment behind the NIMBY movement has evolved in recent years as the focus has shifted from building nuclear power plants to laying infrastructure for pipelines that transport natural gas derived from hydraulic fracturing. Given the immutable demands of geography, it’s impossible to get electricity in a straight line from Canada to Massachusetts without passing through Vermont or New Hampshire. With Massachusetts’ economic primacy in the region, why does everyone have to be a Patriots fan? Or, in economic terms, why should states that don’t directly benefit from the energy infrastructure have to live with the “externality” of power lines passing through their citizens’ backyards? Such political considerations have colored other infrastructure plans throughout New England, to the general detriment of consumers. In 2016, after receiving widespread criticism from residents, lawmakers and environmental organizations, Kinder Morgan suspended work on its Northeast Energy Direct natural gas pipeline project, which held the possibility of helping Massachusetts and New England to meet energy and electricity cost goals. In 2017, Enbridge suspended its Access Northeast natural gas pipeline plan that was projected to significantly boost the region’s natural gas capacity. Energy costs in New England continue to be the highest in the United States. A study by the U.S. Chamber of Commerce found that residents in the Northeast pay 44 percent more than the national average for electricity and 29 percent more for natural gas. Industrial users of electricity pay 62 percent more than the national average, according to the chamber. Given the region’s close proximity to inexpensive hydro resources in Canada and natural gas resources in Pennsylvania, it’s difficult to excuse higher energy costs for an entire region, especially since these costs disproportionally impact the poorest households. One day, leaders from all six states in New England may sit down and figure out a new regional social contract for energy and climate, but don’t expect it to occur until several more cool winters force a greater sense of pragmatism at the polls. William Murray is federal energy policy manager with the R Street Institute.